This "urn" is filled with the cremated remains of a smoker's bank account: $2,000 worth of soggy butts and worthless ashes. 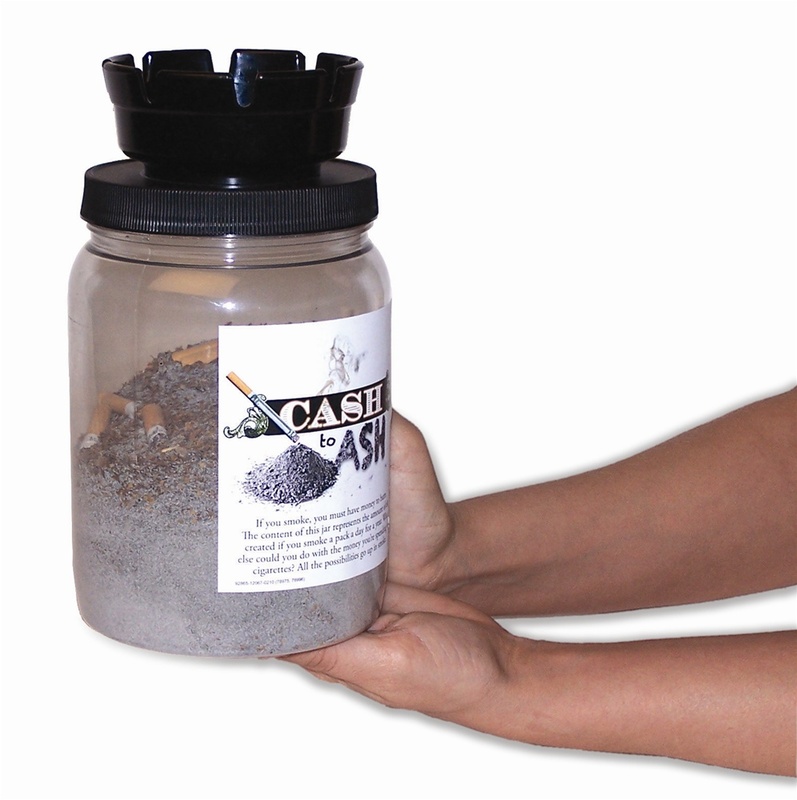 A pack-a-day smoker typically spends that much over a year's time in support of this nasty habit. It's the rough equivalent of setting $40 on fire every week - something most reasonable people would consider an act of sheer lunacy. 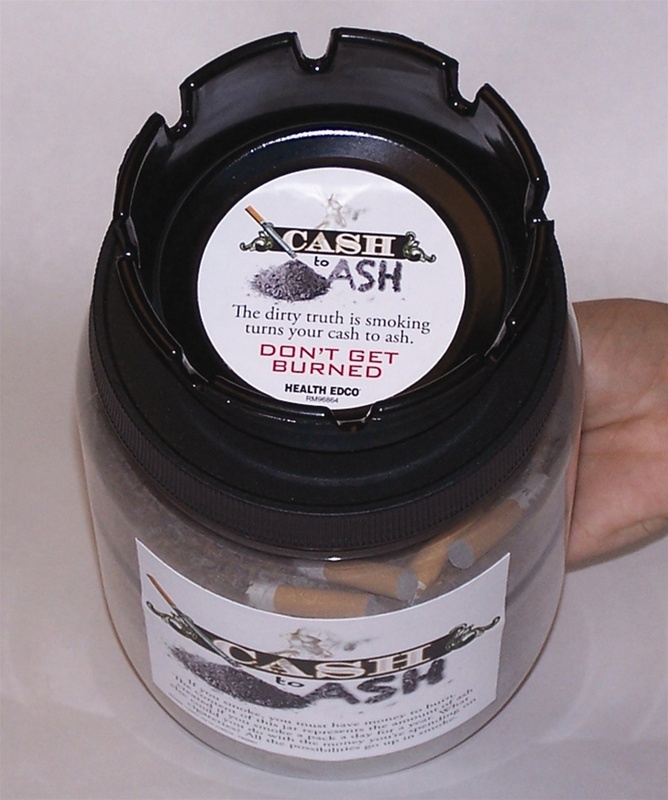 Includes a reproducible worksheet that helps users calculate how much money is wasted on cigarettes in their area.